When I was ten, Transformers where not that hard to transform. This transformer was crazy hard to transform, in the couple of days I was visting with the 4 year old owner, the head “popped off” multiple times, and I couldn’t get it back on without feeling I was going to break the toy. Lucky said child’s mother had the magic touch. But transforming challenge aside, it was a pretty cool model/toy. 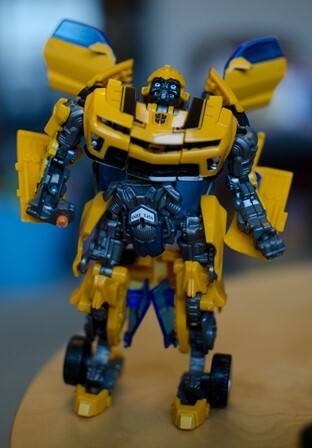 Just not like the Starscream or Optimus Prime of my days gone by…. To this end, I point would-be-helpers to nikonhacker.com, I’ve been contributing there, as best I can. It’s very addictive having such large inflows of traffic to your site/blog, that I was reluctant to redirect it, but I have also felt since November a presure not to post stupid stuff like I used too, or am about to post, thus have been silent (besides the travel and working on things that are not up for chatter). So there’s my Nikon update…. I have been having a good family holiday.. 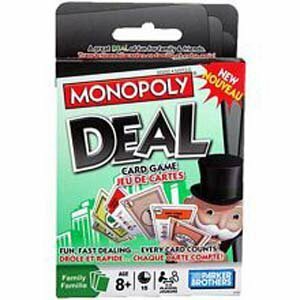 The family was given Monopoly Deal for Christmas, and it’s a fantastic game. My first game was a six person double deck game, which was slower, and very brutal. Since then I have played many a game with Jacob (single player) and it’s fast and fun. In fine to twenty minutes, you can compact all the fun and rage of the full 4 hour game, but it’s done, and you can move on so much quicker. It has stealing, ripping people off, double crossing, saying no (it’s a card, but it the best feeling in the game rejecting a big play, just watch out for the reverse no,back at you…). It’s a very fun game, and while there it can have all the rage of the original it, also can be started and finished within 30 minutes.. so many hands can be played giving the “balance” missing from Monopoly.